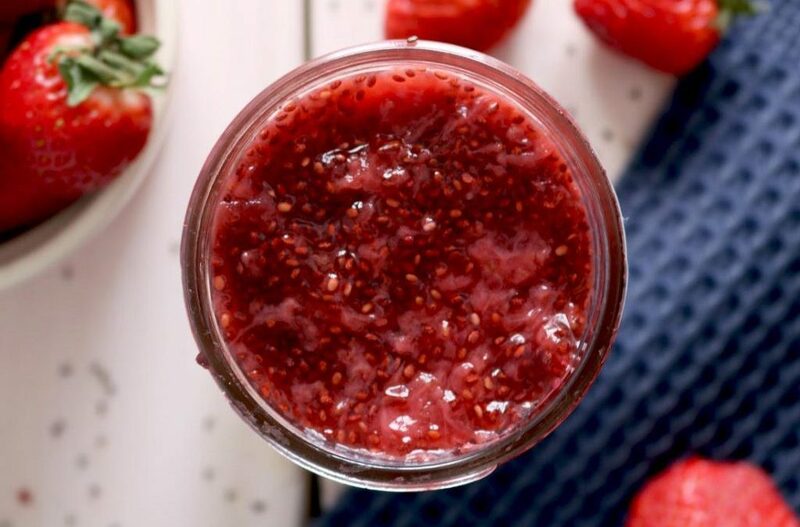 Inside Scoop: This healthy, 3 ingredient strawberry chia jam takes little to no time to prep and will last for a week in your fridge. 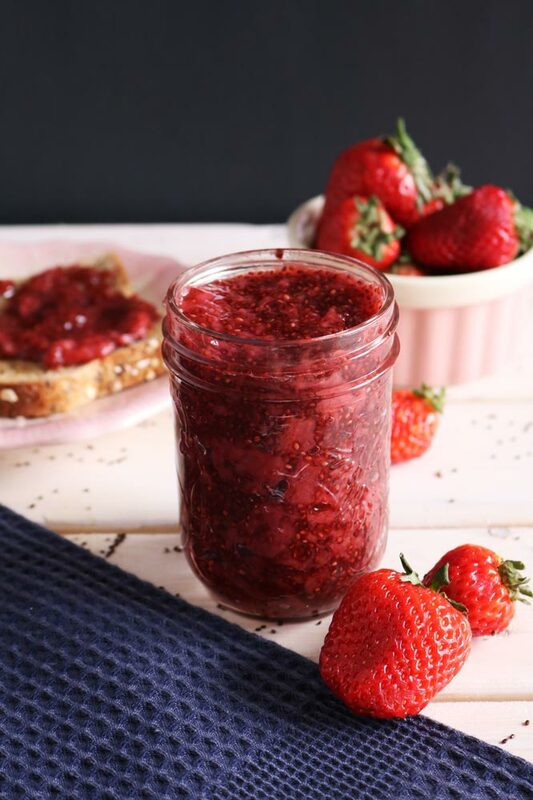 If there’s one thing that’s a staple in the kitchen and can so easily be taken from a preservative-packed processed food, to an incredibly healthy, delicious and simple food, its strawberry jam (or whatever jam flavour you’re obsessed with). 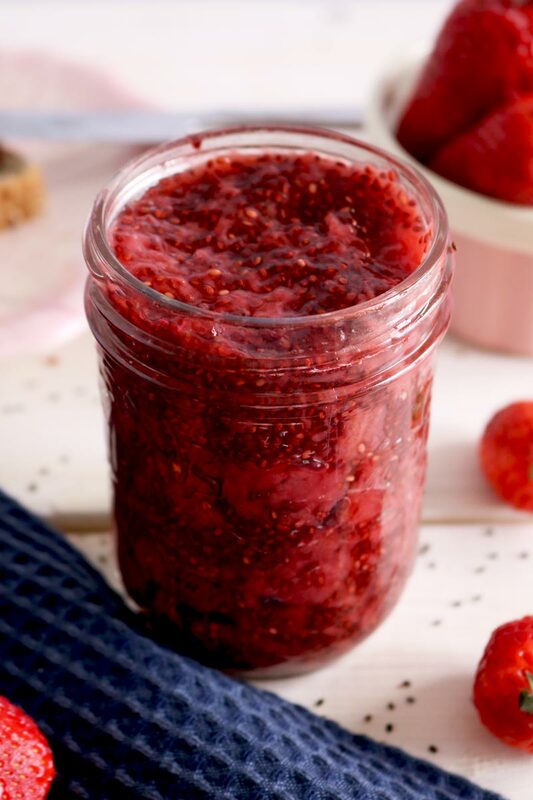 This 3 Ingredient Strawberry Chia jam is made without pectin, and uses chia seeds to bind it together. 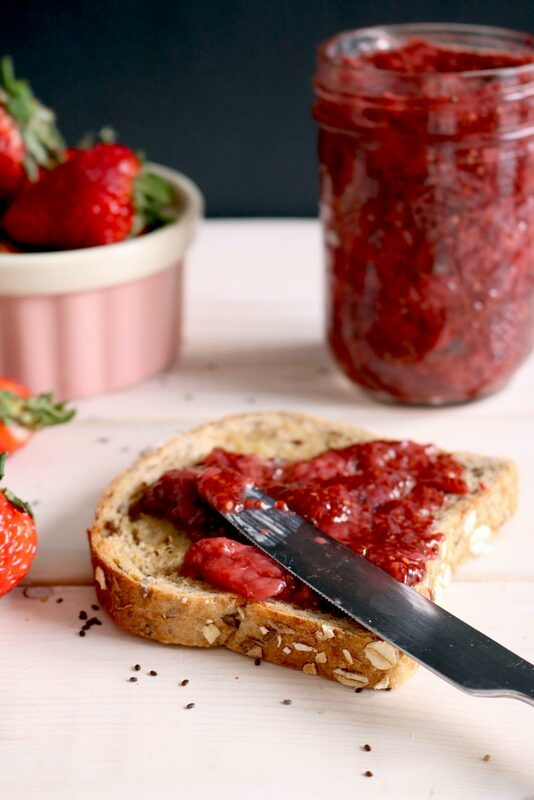 Not only is it made with Omega-3 dense seeds that are incredibly high in fibre, but this jam is low in refined sugar (yet still sweet enough to replace your packaged jam), and only uses strawberries, chia seeds and honey (or maple syrup to keep it vegan)… it’s THAT simple. We’ve been making this refrigerator friendly jam for years and have been topping it on our pancakes, oats, bread and crackers. 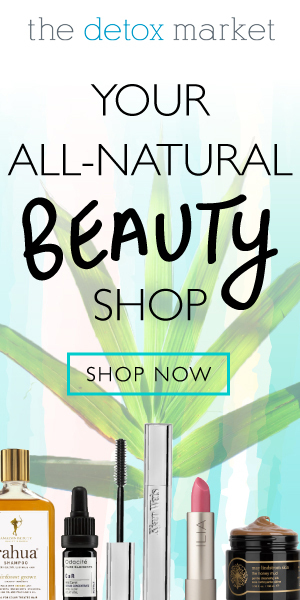 The fact that chia seeds are one of the main ingredients just keeps us coming back. 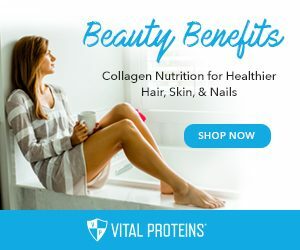 If you’re curious what chia seeds have to do with health, check out this article: This Tiny Seed Is A Superfood For Your Gut. 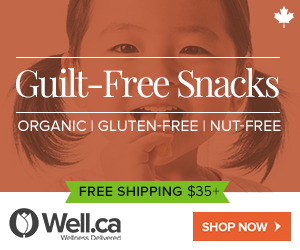 Where you’ll find out just how beneficial the addition of this 3 Ingredient Chia Jam can be to your digestive system! 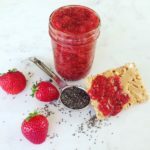 Toss out the commercial jam that can rely on a heavy dose of sugar, laced with preservatives, high-fructose corn syrup and often times food colouring, and start making large batches of this 3 Ingredient Strawberry Chia Jam. 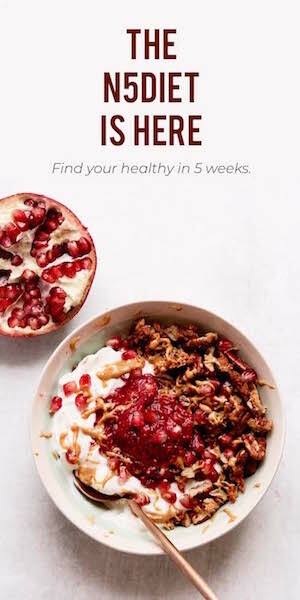 Top this Warm Peanut Butter Oats recipe with the jam, or stuff these Apple Banana Oat Cups with the strawberry chia jam before you bake them. 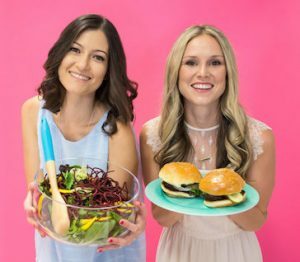 You’re going to be obsessed. You can substitute out any fruit if you aren’t a strawberry fan. Leave a comment below with your favourite jam flavour. 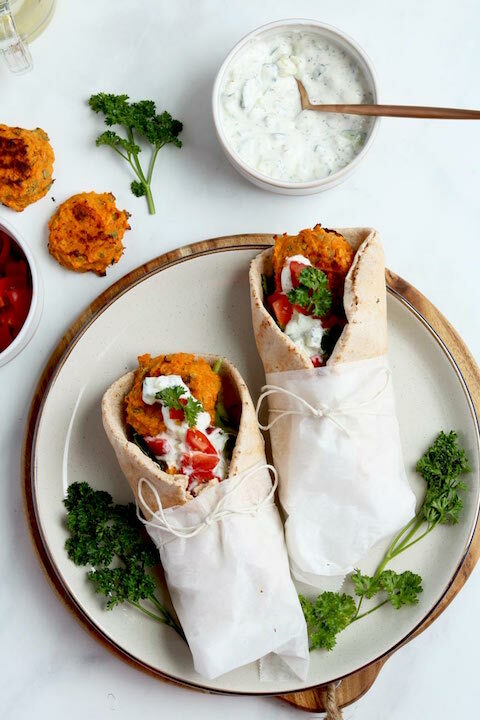 Delicious to eat on its own or make it a classic and have it on a whole grain toast with peanut butter. Place the strawberries in a sauce pan with 2 Tsbp water (optional) on medium heat, cover and bring to a boil (7-10 minutes). The strawberries will first start breaking apart and liquifying. You can mash the strawberries further with a fork or potato masher or leave chunks depending on what you like. Add the lemon juice (optional); reduce the heat and boil for 5-7 minutes, until some of the water evaporates and the consistency thickens. Towards the end add the chia seeds and honey or maple syrup 1 Tbsp at a time, until desired sweetness is reached. Stir everything really well. Remove from heat and let it stand for about 10-15 minutes. If you prefer a thicker consistency add more chia seeds 1 Tbsp at a time. The jam will thicken further once it is refrigerated. The jam tastes best, once it has cooled down and thickened and is delicious on a toast with some peanut butter. * This makes about 3 cups of jam or 16 generous servings.